We say this here at Pacific Honda all the time as part of our sales pitch, but the Honda CR-V is now and has been for quite some time the best-selling SUV in the industry right now. That’s not just in terms of the Honda lineup, but among all automakers develop sport utility vehicles in the U.S., and to keep things that way Honda engineers are currently working very hard to develop a next-generation CR-V that keeps the good times rolling. Yes, the 2018 Honda CR-V will be a next-generation automobile that brings many new features and technologies to the table for San Diego buyers, not the least of which will be a new engine option putting plug-in hybrid technology under the hood of the CR-V for the first time ever. This doesn’t change anything in terms of the wildly successful 2.4-liter four-cylinder engine currently included with the vehicle as the standard option. It still will be the primary offering, but the plug-in hybrid drivetrain and a smaller turbocharged engine will give consumers a handful of new options that should help them get the most out of their engines, both in terms of performance and efficiency. 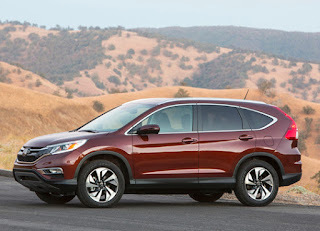 Other rumors about the 2018 CR-V include that it will pinned on the same platform as the new Honda Civic, that it will allow consumers to choose between front-wheel drive and four-wheel drive configurations, and that a long wheel-base version of the model could debut, allowing seven passengers into the crossover for the first time. For now, the bumper-to-bumper details remain a bit of a mystery, but the news is good for those who were hoping for a handful of significant, wholesale changes. The things that make the CR-V great still will be there, but the added options should make this best-selling SUV an even greater asset to your friendly neighborhood Honda dealership. We certainly hope so, at least!